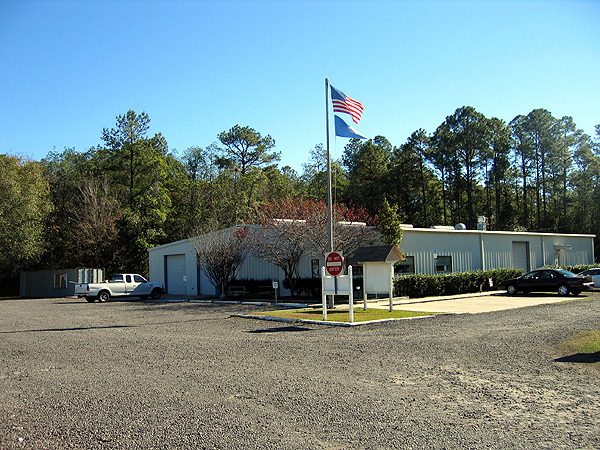 Gateway Rifle & Pistol Club, Inc.
A private club, operated since 1965, providing a safe environment for the sport of shooting. We offer annual memberships allowing unlimited use of the shooting ranges and daily memberships for the occasional shooter limited to certain ranges. The club is open 7 days a week from 8:00 am until near dusk except Easter, Thanksgiving, and Christmas. There are numerous pistol ranges at various distances for shooting paper targets and steel plates. The rifle ranges provide 25, 50, 100, and 200 yard shooting positions. For those interested in competition there are monthly matches for small bore, black powder, .22 50/50 benchrest, bullseye pistol, 3x20 prone, NMC and cowboy. There is an active junior program and women’s program. The facilities include the rifle and pistol shooting positions, a large club house, meeting rooms, and a store selling those items you may need at the range including targets, ammunition, and eye and ear protection. There is a Range Safety Officer on duty at all times. An NRA, CMP, FSSA & USA Shooting affiliated club. We continue to have issues with members shooting center fire rifle rounds on the back (range 5 and 7) pistol bays. Pistol rounds only! Additional signs have been placed to remind and warn members. Loss of membership for life is the penalty. (1) Targets: Bulls eye as sold by the club or similar. Animal or grid targets is permitted. (2) Targets will be situated such that all bullets will directly impact the berm. If bullets do not hit the 15 yard targets and berms, move to 7.5 yard targets. c. No “pistol grip” or “reconfigured” rifles, such as AR-15, AK family, .30 Carbine, etc. B. 25/50 yd (bull’s eye pistol) Range. 1. This range is open to all annual and life members and their guests as allowed by guest policy rules. berms. Rapid fire is permitted as on the General Purpose ranges but no drawing from holster fire. 3. Targets will be placed in proper frames. UNTIL FURTHER NOTICE VARIOUS RANGES WILL BE CLOSED ON A DAILY BASIS. WE DO NOT ALWAYS KNOW WHEN THE CLOSINGS WILL BE DONE, DUE TO WEATHER RESTRAINTS. PLEASE CALL THE MAIN OFFICE AT 904-771-2937 EXT.5 FOR DAILY UPDATES . To provide our community with state-of-the-art support in education, standards, and to protect the Second Amendment Rights.